The technology, carbonization of biomass has become more and more popular all over the world, because the biomass carbonization machine can convert the biomass waste into biomass charcoal to be used in various areas. The best carbonization machine for sale is mainly used to process biomass waste materials such as wood chips, coconut shells, rice husks, stalks of plants, palm shells as well as sewage sludge. The tail gas generated in the carbonization process will be fully recycled. The carbonization equipment can also utilize the spraying, cooling and purifying systems to make the combustible gas for secondary combustion, which is proved to be energy-saving and environment friendly. As one of the most professional biomass briquette machine manufacturers in China, Beston carbonization machines also have possessed the advantages such as short-time and high-efficiency carbonization, high output, good quality production, simple operation, well safety and good environmental production. 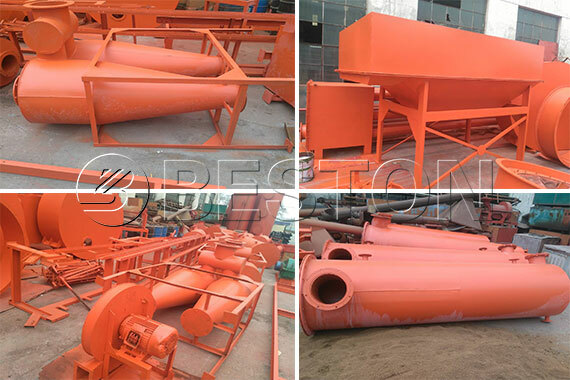 Beston carbonization equipment for sale can produce biomass charcoal which can be widely used in the agriculture, industry and daily life. For example, the charcoal from biomass can be regarded as fuel and steel covering agent in industry; or used into the barbecue which has no harmful components; it can be also used as fertilizer to improve the nature of soil in agriculture. What fuels can be used in the process of carbonization? Carbonisation of biomass usually uses the coal, wood, natural gas and oil as fuel for heating the carbonization furnace, all of which have high combustible values. 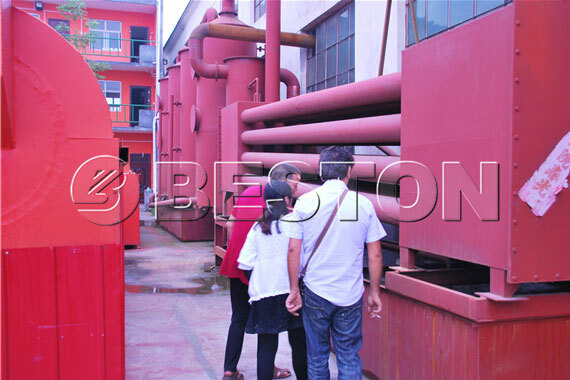 Beston carbonization plant has installed several purified filters so that there is no trouble in the air pollution. 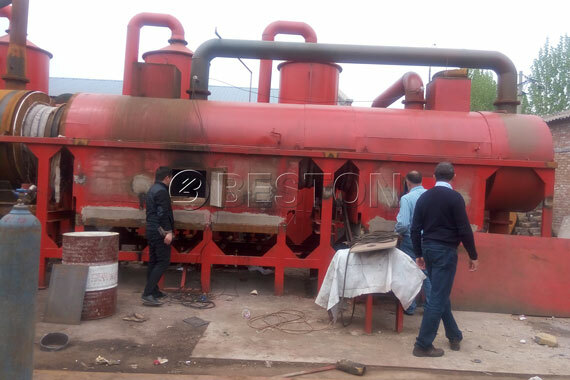 Beston carbonization machine industrial has introduced the advanced technology that integrates the collection, purifies and cycles burn of combustible gas which generates in the carbonization process into a whole. In this way, it can not only solve the problem of environmental pollution caused by the thick smoke in the process of the traditional carbonization, but also solve the problem of heating energy required by the equipment, which has fully realized the self-support in the respect of heat source. Besides, our carbonization machines can also make a great contribution to relieving the contradiction of resources shortage. Thirdly, it has a long service life, so the comprehensive cost is lower than many other machines. Fourthly, Beston Company can also make a perfect supporting training service of equipment, including technology, producing, laboratory, deep processing and sales for clients. Finally, Beston has rich exporting experiences, which has great praise in the whole industry, so we can ensure the best service and products for you.